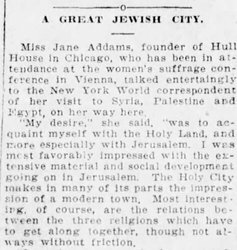 Miss Jane Addams, founder of Hull House in Chicago, who has been in attendance at the women's suffrage conference in Vienna, talked entertainingly to the New York World correspondent of her visit to Syria, Palestine and Egypt, on her way here. 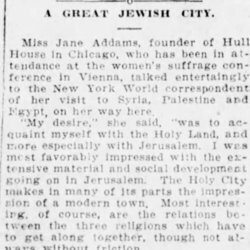 "Jersusalem, as was to be expected, is rapidly becoming a Jewish center. 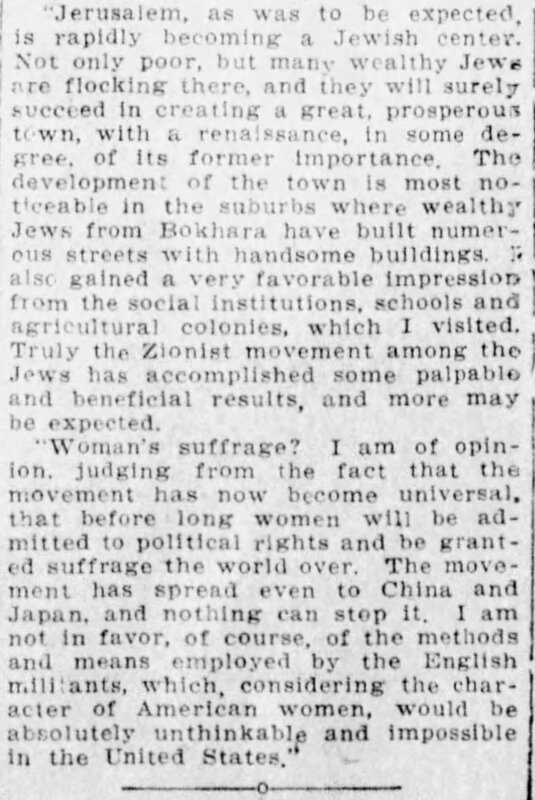 Not only poor, but many wealthy Jews are flocking there, and they will surely succeed in creating a great, prosperous town, with a renaissance, in some degree, of its former importance. The development of the town is most noticeable in the suburbs where wealthy Jews from Bokhara have built numerous streets with handsome buildings. I also gained a very favorable impression from the social institutions, schools and agricultural colonies, which I visited. Truly the Zionist movement among the Jews has accomplished some palpable and beneficial results, and more many be expected. "Woman's suffrage? 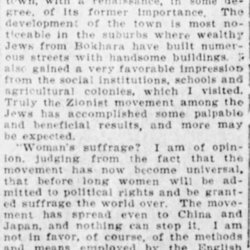 I am of the opinion, judging from the fact that the movement has now become universal, that before long women wll be admitted to poliitcal rights and be granted suffrage the world over. The movement has spread even to China and Japan, and nothing can stop it. 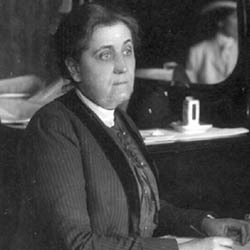 I am not in favor, of course, of the methods and means employed by the English militants, which, considering the character of American women, would be absolutely unthinkable and impossible in the United States." 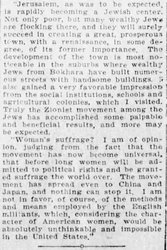 A Great Jewish City, The Times (Shreveport, La. ), July 31, 1913, 10. 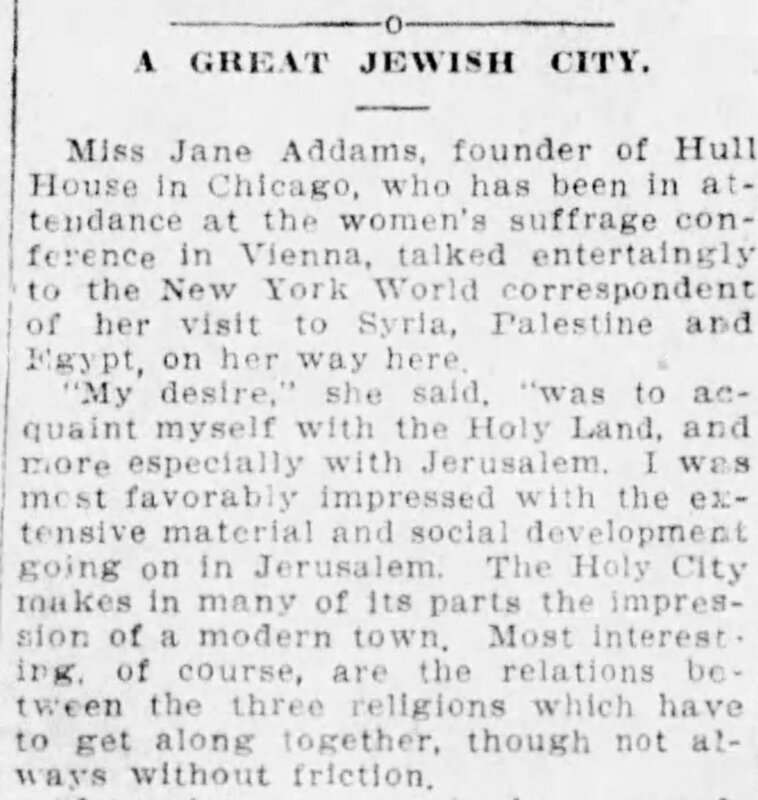 Addams, Jane, “Interview with the New York World, July 31, 1913,” Jane Addams Digital Edition, accessed April 23, 2019, https://digital.janeaddams.ramapo.edu/items/show/9718.